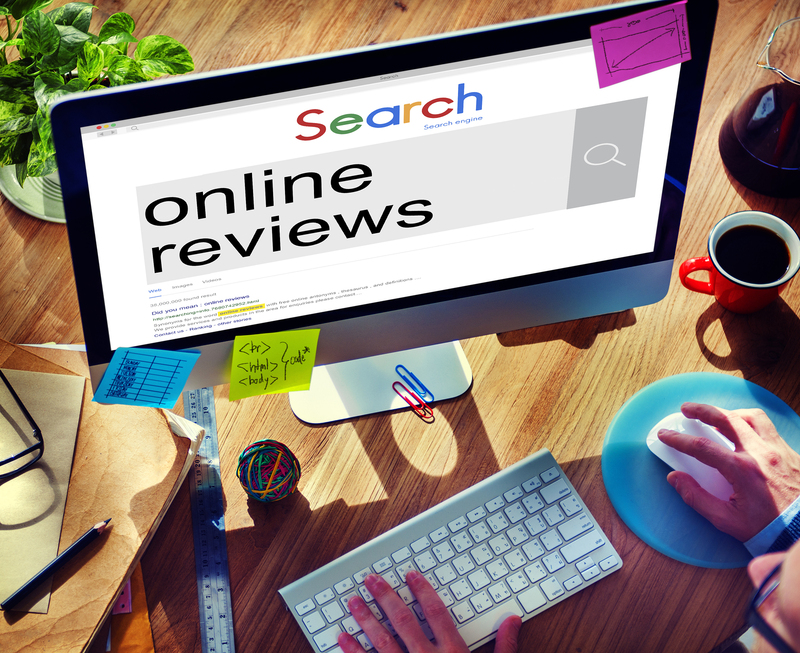 The specter of some insidious force that controls our daily lives from behind the scenes is a thought that haunts all of us. It was the dystopian novel 1984 that first introduced to the masses the idea of human beings being controlled and manipulated like sheep by some higher power. The book coined the well-known term ‘big brother’, which has become commonly used to refer to secret powers that watch over and control us. The secret society is one such manifestation of this kind of hidden force of control. From the Knights Templar to the Illuminati, there are literally hundreds of secret societies that are said to exist throughout the world, though of course, their goals are unknown. 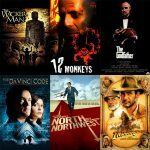 These secret societies have captured our imagination and as a result have also become a theme that has been heavily explored in movies. 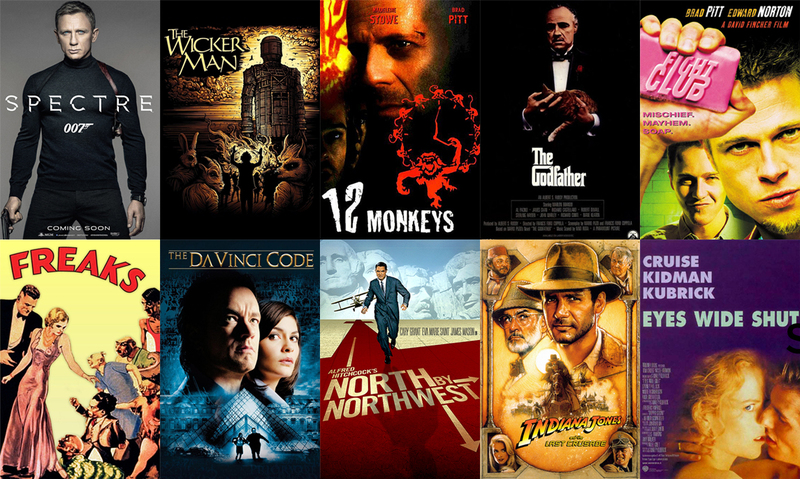 This list is our pick of the best movies about secret societies. Widely regarded by critics and audiences alike as one of the best films ever made, The Godfather was so accurate in its depiction of the secret crime organization we know as the Mafia that in an effort to keep their organization in the shadows crime boss Joe Colombo forced the filmmakers to exclude the term ‘Mafia’ and other references from the film completely. 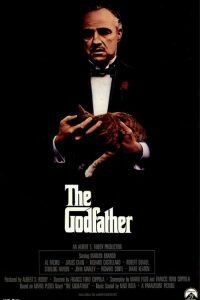 Based on Mario Puzo’s novel of the same name, the film depicts the hidden reality of the world inside one of New York’s five crime families, the Corleone’s. The film is so striking in its realism that it has become the definitive gangster picture of all time. Graphic scenes of violence that highlight just what these criminals will do to get what they want gave audiences a chilling view into America’s largest criminal organization. For a long time the Mafia was so secret that its existence was even denied by FBI director J. Edgar Hoover, despite the Mafia being bigger than most of the U.S corporations during this period. 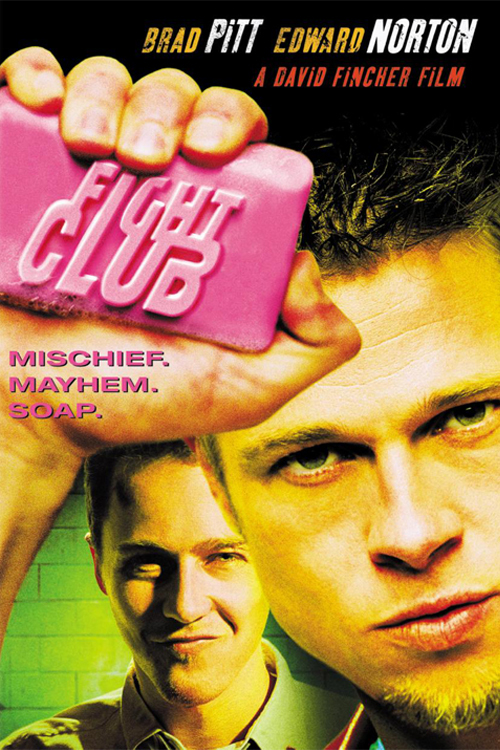 Released in 1999, Fight Club is arguably the high water mark film of director David Fincher. When a bored, nameless worker, played by Edward Norton, meets soap salesman Tyler Durden, his life is changed forever. The pair set up a secret underground society that they call fight club. In this club, members are encouraged to bare-knuckle fight in order to release their inner anger and frustrations. In this way, the club becomes a therapy for its members and so quickly grows in size, despite the first rule being not to talk about fight club. As the film progresses, the club takes on an increasingly sinister and dangerous form as it quickly begins to spiral out of control, leaving the Norton character rushing to try to make sense of what’s happening. Tod Browning’s masterpiece was completely unknown until recent times thanks to a long running worldwide censorship ban. The film follows the life of a traveling troupe of circus ‘freaks’ whose life on the road gets disrupted when two circus workers plot to murder one of the troupe in order to obtain a large inheritance. 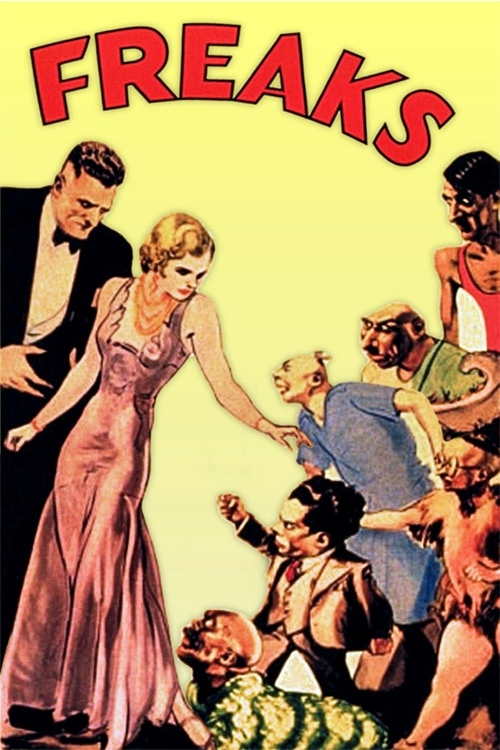 Freaks is truly a brave work that rather than exploiting the characters’ unfortunate deformities, actually becomes a touching and heartwarming piece as we see how each of them has overcome their physical problems to live a normal existence within their own community. In fact, it is interesting how the film paints the ‘normal’ people as being the cruel and murderous ones who force the main protagonists into a position of having to taking action to defend one of their own resulting in the films memorable climax. 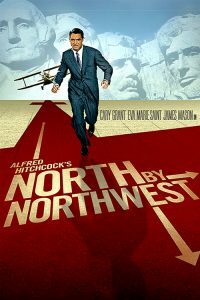 This 1959 thriller from the master of suspense Alfred Hitchcock appears in most critics’ lists as one of the greatest films of all time. When an innocent man, played by Cary Grant, is mistakenly identified as a target by a mysterious organization who believes he is trying to thwart their plan to smuggle secret government secrets out of the country, what follows is one of the best Hitchcock films and a nail biting 136 minutes that culminates in an iconic finale. The film is the perfect secret society movie as the identity of the society is never made known even at the end of the film, and so leaves this shadowy organization as mysterious and menacing as when we first learn about it. North By Northwest was recently selected by the United States Library of Congress for preservation due to it being “culturally, historically, or aesthetically significant” for the nation. Director Stanley Kubrick’s last film, it stars Tom Cruise and Nicole Kidman as a married couple who enter a secret underground society that is engaged in sexual exploration and orgies. The main protagonist Dr. Bill Harford (Cruise) spends a night going deeper and deeper into this secret society on a journey of sexual exploration after his wife admits that she had thought about having an affair a year earlier. Though the film disappointed many Kubrick fans, it is an interesting modern take on an Arthur Schnitzler’s novel Dream Story, a novel which caused a huge shockwave for its explicit content back in its day. The film found itself unable to do the same, so relied on the mystery generated by this secret society to keep audiences tied to their seats. Dan Brown’s novel The Da Vinci Code sold so many copies upon its release that no one doubted that it would soon become a movie. A few years later, Hollywood did just that and released the film version starring Tom Hanks, Audrey Tautou and Ian McKellen. The film follows the main protagonists from the book as they try to uncover the truth to a complex web of secret messages, riddles, tales and hidden societies that tell the real truth of the Holy Grail. 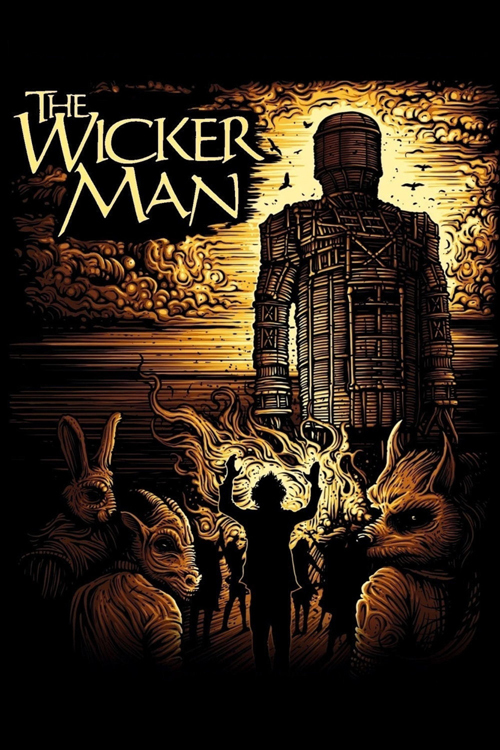 Recently remade as an American version, the 1973 film The Wicker Man is a British classic that still scares audiences stiff to this day. The film takes place on the remote island of Summerisle, where after being sent to find a missing girl, police sergeant Neil Howie learns to his horror that the inhabitants are now practicing a form of paganism that will have lethal consequences for all those not of the faith. The Wicker Man is regarded as one of the best British films of all time as well as one of the best horror movies ever made. 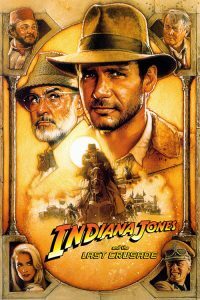 A film that needs little introduction and another film to be centered on the secret societies that guard the Holy Grail, this should have been the last adventure of the archaeologist Dr. Indiana Jones. When he receives word that his father has gone missing, Indiana Jones sets out on a journey where he must battle Nazi’s, booby traps, 1,000-year-old knights and rats to solve the mystery of the Holy Grail. The film made $474.2 million at the box office making it the best performing film in the series and a worldwide success. The 24th movie in the James Bond series, the film reunited director Sam Mendez with Daniel Craig as James Bond who finally gets to uncover the mysterious organization known as Spectre run by the evil Ernst Stavro Blofeld. 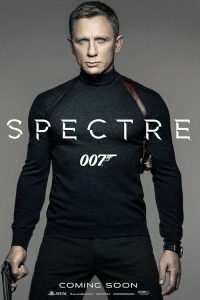 Without question, one of the best Bond films of recent decades, as the film progresses Bond realizes more and more that the events over the past few films and even his own past are heavily interconnected to the mysterious Blofeld who seems hell-bent on Bond’s destruction. 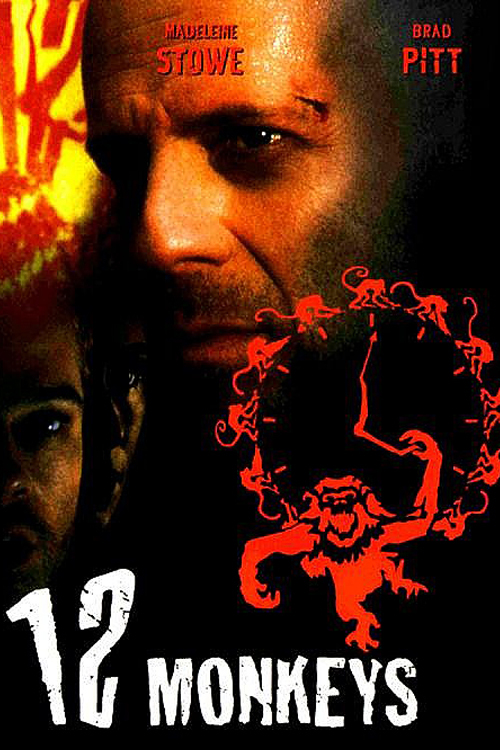 After a deadly virus kills off most of the world’s population, a prisoner from the future is selected to be sent back to the past to try to uncover more information about the mysterious sect known as the Twelve Monkeys. The prisoner, played by Bruce Willis, ends up in a mental hospital where he encounters a deranged patient played by Brad Pitt. Willis makes several journeys back to the past during which time he confides to Pitt about his real mission not knowing what part he is really playing in the creation of the Army of the Twelve Monkeys, and in humanities imminent devastation.